Reports project record breaking air travel numbers for 2015. While the summer season is an ideal time for traveling, experts are predicting that this year will be one for the record books. According to a recent report provided by Airlines for America, an industry trade organization that analyzes trends and policies within the U.S. airline industry, summer 2015 is expected to break the all-time record for attendance on U.S. airlines over any previously recorded season. Airlines for America projects that there will be more than 222 million passengers flying on U.S. airlines from June 1 to August 31, beating the previous record of 217 million travelers back in summer 2007. This figure is up 4.5 percent from 2014's numbers, and marks a significant increase in domestic travel due to the recent recession during the past several years. 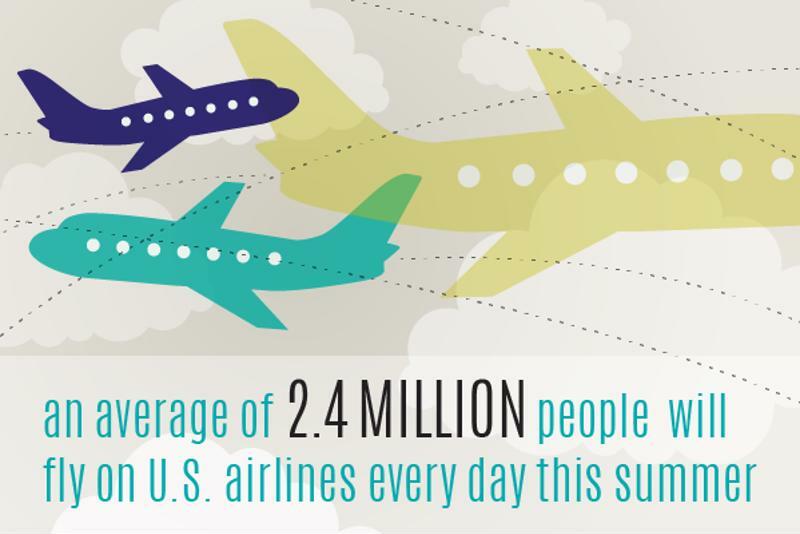 According to the figures from the report, this means that there will be an average of 2.4 million people flying on U.S. airlines every day throughout the summer of 2015. In addition to the record-setting domestic numbers, Airlines for America also predicts that there will be 31 million travelers (332,000 per day) using U.S. airlines to board international flights, which is also a new record. One of the ways airlines are trying to adequately prepare for this influx is by significantly expanding the amount of seats available. The report projected that there will be an increase in seating by 4.6 percent for summer 2015, which translates to 126,000 extra seats per day. This summer, travelers should be wary of long checkpoint lines at airports. John Heimlich, chief economist for Airlines for America, stated in a press release that in addition to extra seats, airlines are continuing their efforts to build larger aircrafts to match the increasing number of U.S. travelers. 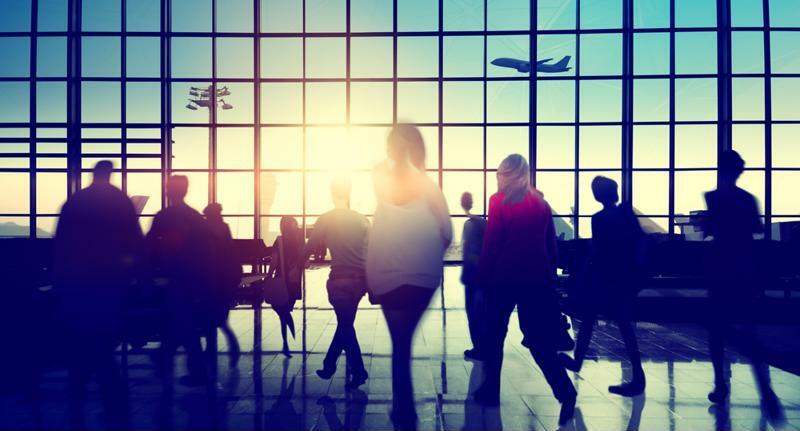 "The continued rise in U.S. consumer sentiment and employment is leading to more people traveling more often, and air travel remains one of the best consumer bargains in America," Heimlich said. "With 13 of the 15 busiest air travel days of the year falling in the summer months, U.S. airlines are well-prepared to accommodate the increased travel demand by adding flights and seats, and deploying new and larger aircraft, along with a boost in staffing to enhance the customer experience." The good news continues to follow the U.S. airline industry, as 2015 has certainly been a year to remember for these companies. In addition to taking advantage of some of the cheapest recorded prices for crude oil earlier in the year, the top 10 publicly traded U.S. passenger carriers have experienced a net profit of $3.1 billion in the first quarter of 2015. This figure improved just over 1 percent from the same time last year. The rise in profits and attendance has also helped create more jobs within the U.S. airline industry, as the report indicated that February 2015 was the 15th consecutive month of employment gains. Over the past five years, the airline sector has added nearly 10,000 jobs. Heimlich added that U.S. airlines took advantage of lower fuel costs in a variety of ways, especially in their efforts to improve conditions for passengers and employees. "Healthy air-travel demand and lower, yet still volatile, fuel prices are helping U.S. airlines close the gap to average U.S. corporate profitability," Heimlich stated in a press release. "In the first quarter, airlines invested more than $20 per passenger in capital improvements, taking care of employees, continuing to pay down debt and returning cash to shareholders." "Always book flights as early as possible." With more Americans taking to the skies this summer, travelers will need to effectively prepare and adjust for this busy season. Booking plane tickets as far in advance as possible will not only will help you save money, but will ensure that flights don't fill up on dates you've already reserved for vacation or business travel. Ordering tickets early can also apply to all other elements of travel, such as reserving a hotel room or rental car. You can also check with a travel agent about possible travel packages that are available, which can normally save you time and money on booking all the elements of traveling you'll need. If you do plan on flying sometime this summer but don't have a particular date in mind, try to book a flight that doesn't depart or arrive during peak travel dates. This means avoiding holidays at all costs, or taking off at least a few days prior to a popular holiday. Of course, arriving as early as possible to the airport is another essential tip to consider. You never know what lines you'll have to encounter when going through boarding or security checkpoints, so make sure procrastination never puts a damper on your travel plans.